Civil, political and human rights are harshly restricted and frequently violated in Azerbaijan. Independent and critical journalists frequently find themselves — or their families — targeted. 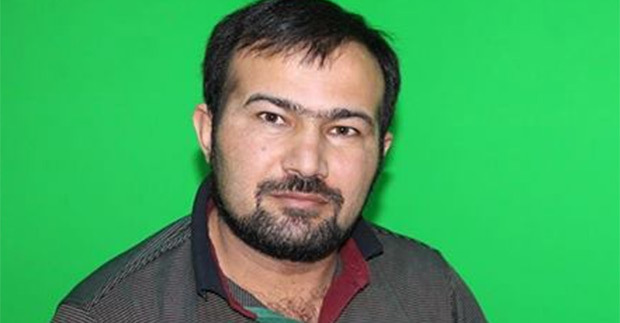 Rahim Haciyev, acting editor in chief of the Index Award-winning independent newspaper Azadliq, was forced to flee Azerbaijan after years of official harassment. The government has repeatedly cracked-down on dissent. I’m very sorry that the repressive policy of the Azerbaijani authorities against the Azadliq newspaper forced me to leave the country. After the arrest of the newspaper’s financial director Faig Amirli, the authorities soon stopped issuing a print version. Amirli was arrested on obviously fabricated charges. I was summoned several times to the prosecutor’s office several times to testify about the paper’s financial affairs. The prosecutors said that this was connected with the criminal case of Amirli, but are invesitgating him under charges of “inciting religious hatred” and “violating the rights of citizens under the pretext of conducting religious rights”. It turned out that they were interested in the financial issues of the newspaper in order to find a way to silence it. In addition, several employees of the newspaper were summoned for questioning. Then a court ordered tax authorities to comb through the paper’s financial activities. It’s clear that this was undertaken to increase pressure on the newspaper and me personally. Aiming to cripple Azadliq, the government-owned distribution company was ordered to withhold circulation receipts — $84,000. So we weren’t able to print or even pay our bills. Three staffers are in prison — Seymur Hezi, Faig Amirli and Elchin. Each of them had sharply criticised the lawlessness and corruption of Azerbaijani officials. In February, 11 Azadliq employees were summoned to the prosecutor’s offices to be interrogated again. Several government agencies increased their pressure on the newspaper’s online operation. 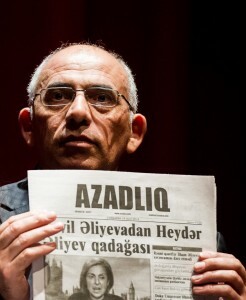 I had been warned twice in the past two years by the prosecutor general’s office that under my leadership Azadliq had been slandering Azerbaijani authorities. In their notices I was told that failure to comply with their terms would mean legal repercussions for me. But I refused. The newspaper continued to report on corruption, abuses of power and the absence of the rule of law. We were devoted to pursuing the truth. And that is why the authorities intensified repression against the newspaper. Now this lawlessness has forced me to leave the country. This decision was extremely difficult. I am cut off from my family and friends. I have two children and don’t know when I will see them again. But despite all the problems I will continue to work daily for the newspaper’s website. It’s my job, this is my job, this is my life. 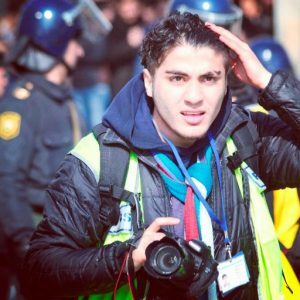 Mehman Huseynov, an Azerbaijani journalist and pro-opposition blogger, was sentenced to two years in jail on 3 March by a Baku court for defaming the police chief of the city’s Nasimi district. Huseynov intends to appeal his sentencing. According to Front Line Defenders, a group of police officers violently attacked Huseynov on 9 January. The next he was brought to court, found guilty of disobeying police orders and fined 200 manat (£96). Founder and editor of online news portal Kend.info Elchin Ismayilli was arrested on 17 February on charges of “extorting money” and “aggravated abuse of a position of influence”. According to the Caucasian Knot, he was also accused of blackmailing a local office, charges he insists were fabricated to silence his coverage of local corruption and human rights violations. On 18 February, Ismayilli was sentenced to a pre-trial detention period of 24 days. He has previously been subject to multiple arrests and cases of harassment related to his work as a journalist. On 3 March, a court decided to prolong the period of investigation of Faig Amirli for three months, the Azerbaijan Press Agency reported. 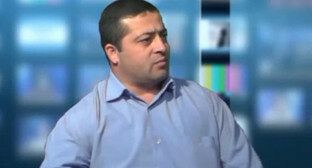 Amirli, financial director of newspaper and assistant chairman of the Azerbaijani Popular Front Party (APFP), was arrested on 20 August 2016 for “inciting religious hatred” and “violating the rights of citizens under the pretext of conducting religious rights,” according to Radio Free Europe/Radio Liberty. 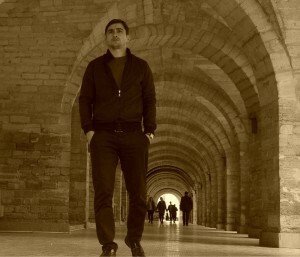 Writer and blogger Rashad Ramazanov was arrested on 9 May 2013 and sentenced to nine years in prison. According to English PEN, his charges included “illegal possession and sale of drugs”. Police claimed to have found nine grams of heroin on his body, although Ramazanov insists that the drugs were planted by the officers, who he claims also beat him up and tortured him during interrogation. Ramazanov was sentenced to nine years in prison in November 2013 on a trumped-up drug trafficking charge. PEN International reported that on 23 January Ramazanov was moved to solitary confinement for 15 days, the reason for which remains unknown. 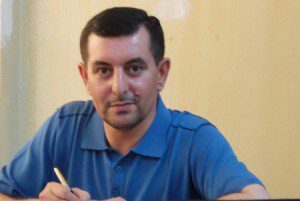 On 7 February Ramazanov was released from solitary confinement, and his family was given permission to visit him. 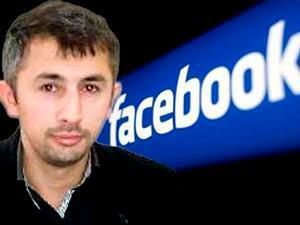 Founder and editor of the website Azel, Afgan Sadygov, was sentenced on 12 January to 2.5 years in jail. Sadygov was arrested on 22 November 2016 based on accusations of “hooliganism” after he was attacked on 9 August 2016 and allegedly hit a woman, Contact Online news reported. Sadygov’s website often reports on issues such as poor infrastructure maintenance, bad quality of roads and waste of public funds in Azerbaijan’s Jalilabad region. According to MeydanTV, the Supreme Court will hear the appeal of Seymur Hezi, reporter for opposition news source Azadliq and presenter for critical TV program “Azerbaycan Saati” on 13 April. The journalist was sentenced to five years in prison on 29 January 2015 on a trumped-up charge of aggravated hooliganism, Index on Censorship reported. The charge came after Hezi was attacked on 29 August by Maherram Hasanov, a complete stranger, and defended himself. Hezi has accused President Ilham Aliyev and chief of staff Ramiz Mehdyev of ordering his arrest. 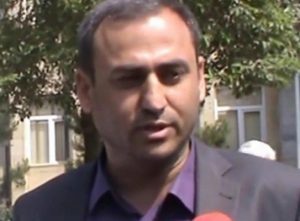 The lawyer of Nijat Aliyev, former chief editor of religious website Azadxeber.org, has not been able to get hold of the text of the verdict of the Supreme Court of Azerbaijan for his client, Contact Online news reported. Aliyev’s lawyer believes that the delay has been intentional in order to prevent the filing of a complaint with the European Court of Human Rights, Contact Online news reported. 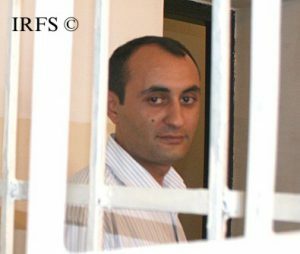 According to IRFS, Aliyev was detained on 20 May 2012 and sentenced to 10 years in prison on 9 December 2013 on charges of illegal possession of drugs and weapons, incitement of religious hatred, calls to seize power and distributing banned religious literature. Aliyev’s website previously published criticisms of the government’s policies in regards to religion, the possibility of a LGBT parade in Baku and the allotment of too much funding for the Eurovision Song Contest in 2012, OCCRP reported. 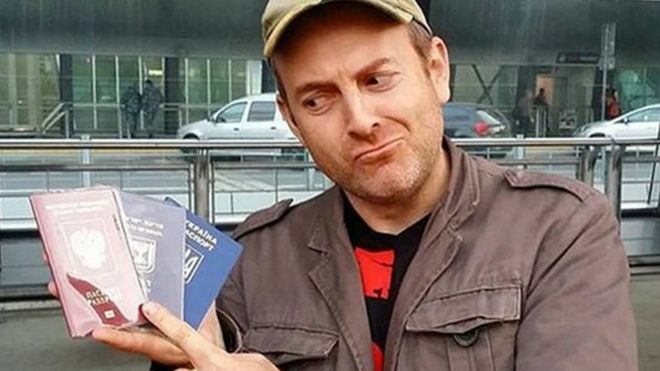 Russian-Israeli travel blogger Alexander Lapshin was extradited from Belarus to Azerbaijan on 7 February. He faces up to five years in prison on charges of “public calls against the state” and “unauthorised crossing of borders,” according to Armenian News Agency ArmenPress. These charges came after Lapshin traveled to the disputed territory of Nagorno-Karabakh and sympathised in his blog entries with the Armenians he met, GlobalResearch reported. Fikrat Faramazoglu, editor-in-chief of news website jam.az, has been detained since 30 June 2016 on the charge of extortion by means of threats, which is punishable by up to five years in prison. According to Azerbaijan Free Expression Platform, these charges originated when a local restaurant owner accused Faramazoglu of extorting money from him when asked to remove defamatory articles about the restaurant on websites owned by the journalist. 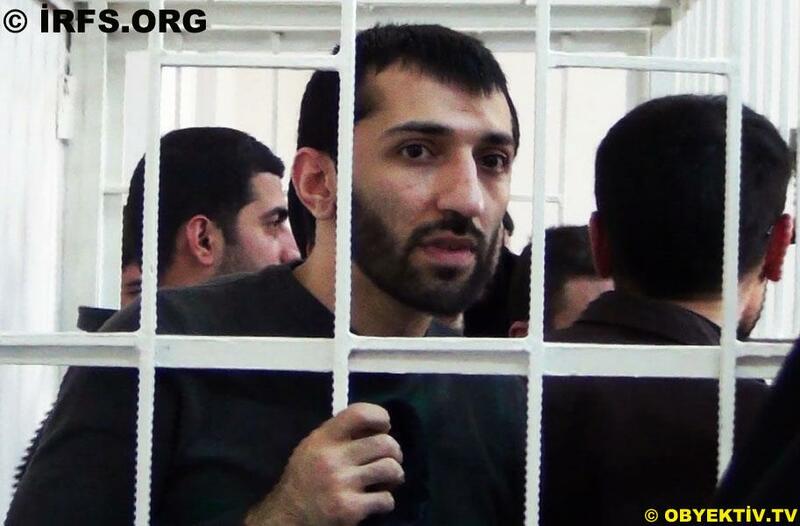 Blogger and social media activist Abdul Abilov has been imprisoned since 22 November 2013. According to Azerbaijan Free Expression Platform, Abilov was charged with illegal possession, storage and manufacturing or sale of drugs when authorities claim to have found illegal drugs in his home and on his person, which Abilov continues to protest were planted on him. On 27 May 2014 Abilov was sentenced to five-and-a-half years in prison. Stop Sycophants!, the Facebook page previously run by Abilov, was shut down following his arrest, IRFS reported. The page was known to strongly criticise authorities.